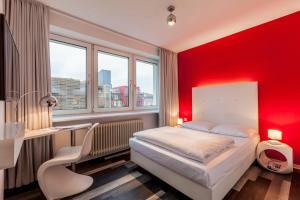 This 3-star hotel is located directly on Hamburg's Reeperbahn nightlife mile. 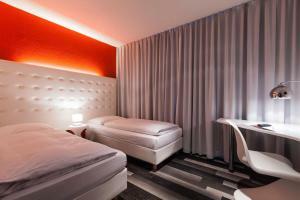 It offers soundproofed rooms, free Wi-Fi in the lobby, and a 24-hour cocktail bar. 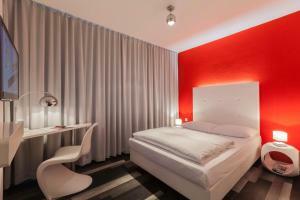 The City Hotel Monopol is a 3-minute walk from St. Pauli Underground Station. The Operettenhaus musical theatre is across the street. 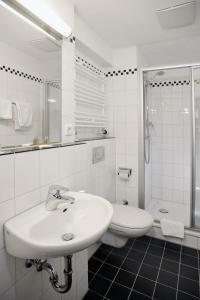 The modern rooms at the City Hotel include cable TV and an en suite bathroom with free toiletries. 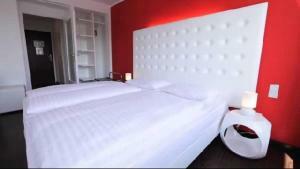 Free Wi-Fi access is available in the rooms for the 1st hour. The Monopol restaurant is open for lunch and dinner. 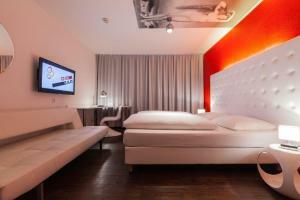 The City Hotel Monopol also offers a summer terrace and sports bar. 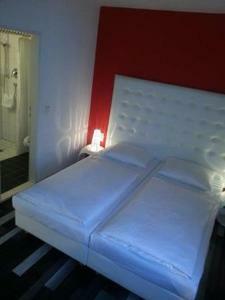 Guests wishing to bring pets must pay an additional fee.